Future Strategies for Next Generation Energy Savings | "Global Possibilities"
Contributor Blaine Brownell reports on key findings from the International Conference on Innovative Applied Energy hosted in the U.K. earlier this month. Despite efforts to reduce global fuel consumption, society continues its insatiable and accelerating demand for energy. According to a University of Oxford study, the world consumed a whopping 146,000 terawatt-hours (TWh) in 2015, an approximate 30 percent increase from the year 2000. Concern for the potential consequences of this trend motivated the organization of the International Conference on Innovative Applied Energy (IAPE), held March 14-15 in Oxford, England. The event brought together a multidisciplinary audience, including scientists, engineers, planners, and architects, to share the latest research in topics including “energy production, alternative and renewable energy supply, energy savings analysis, optimization of energy processes and the environmental impacts of energy production,” according to conference materials, to address the burgeoning demand for energy resources. What follows are highlights of the innovations in energy-focused materials, systems, and design methods presented at the conference. Several researchers shared research on enhancing the thermal performance of materials. For example, engineers at the Tokyo University of Science have developed multifunctional, energy-conserving window films. Conventional low-E coatings reflect the heat from near-infrared illumination directly onto a building’s surroundings, thus exacerbating urban heat island effect. The proposed retro-reflective film employs coatings originally developed for flat screen TV displays—coupled with a daylighting plate—to reflect near-infrared light into the sky, thus optimizing energy efficiency for buildings as well as their sites. Other studies addressed novel forms of insulation. For instance, researchers at the University of Casablanca and Sultan Moulay Slimane in Morocco have evaluated textile waste for its potential use as building insulation. Noting that Morocco’s clothing and textile industry generates some 200,000 tons of waste annually, the researchers calculated improved energy performance based on various thicknesses of repurposed polyurethane, glass fiber, acrylic, wool, and other fibers. The IAPE conference featured a number of experiments with phase change materials (PCMs)—substances capable of storing and releasing significant quantities of energy. For example, some thermal energy storage systems consist of PCM capsules filled with paraffin and integrated solar collectors. 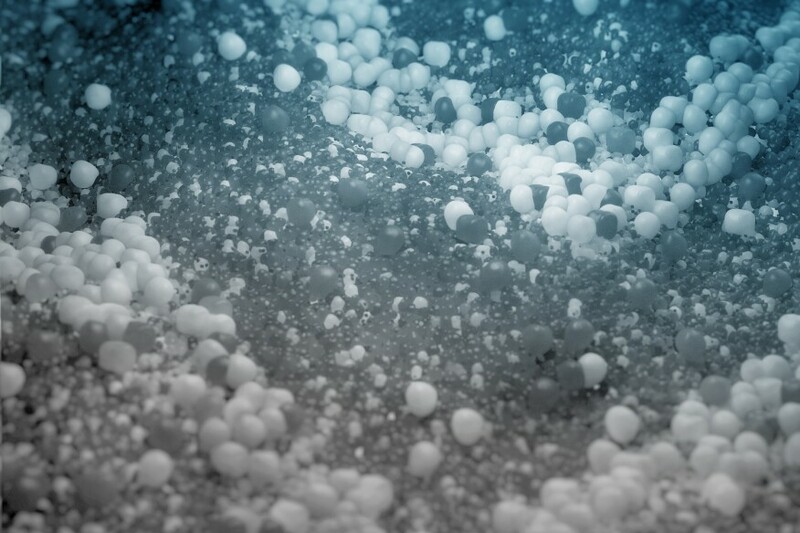 Researchers at Auburn University in Alabama have taken this idea further, developing micro-encapsulated phase change materials (MEPCMs) that can be combined with many different media. Because of their minute size (tens of microns versus tens of millimeters for PCM capsules), MEPCMs can be mixed into various substrates safely and without concern for deterioration. To test this idea, the Auburn team created gypsum wallboard using MEPCMs, which exhibited a longer delay in heat transfer than the PCM-free wallboard. Other PCM research included a bio-composite made with hemp lime concrete called PCM-HLC and a novel utilization of fly ash to encapsulate phase change materials. In addition to materials, IAPE presenters also discussed the thermal performance of building systems. Researchers at the University of Moulay Ismail and Sidi Mohamed Ben Abdellah Universit in Morocco investigated the thermal performance of a smart multilayered wall based on computational fluid dynamics (CFD) and solar radiation simulations. They were able to determine the optimal air gap size (25 mm) for a novel masonry cavity wall configuration based on CFD and surface-to-surface radiative calculations. Pontificia Universidad Católica del Ecuador researchers proposed the incorporation of small vertical gardens in building façades for air cooling. The authors had previously observed a dramatic 14.3 C decrease in air temperature when they introduced airflow behind a large wall of garden modules. A smaller and more portable version, which they call a “compact active vertical garden,” also demonstrates the capacity to improve façade energy performance while humidifying dry climates. As architects are fully aware, building materials and systems can only do so much. Design and user communication also play critical roles in building energy performance. A team of engineers at the University of Lisbon in Portugal shared its efforts to integrate end users in the design process to increase building energy efficiency. Noting that energy metering often reveals a gap between design intentions and actual performance, the researchers explored user behaviors in building operations. Studying secondary schools in Portugal as a model, they discovered a variation of up to 3.3 times in energy consumption depending on user interaction with building systems. Based on their interviews with occupants in the study, the engineers determined that making building performance more visible, integrating mechanical systems to account for the use operable windows, and integrating electric light with daylight monitoring should significantly improve energy efficiency. A similar study by researchers at the Technical University of Crete in Greece explored connections among the design, measurement, and verification of zero-energy buildings. If the IAPE conference and proceedings are any indication, interest in improving the thermal performance of building materials, systems, and operations is gloal. To be sure, renewable energy harvesting was featured prominently as a topic, but the general theme of efficiency exhibited a broader range of possibilities. This suggests a promising direction: “While some may have the impression that renewables account for a large share of global energy consumption, their total contribution in fact remains small,” write Hannah Ritchie and Max Roser in the University of Oxford study. “Even if we include modern biofuels and hydropower, it is still less than 5 percent.” Thus, although renewable energy deserves increased research and development support, it is unlikely to solve the energy and climate crisis alone—at least not anytime soon. We must also focus on creative, and in some ways more accessible, methods of increasing building performance via energy savings. Blaine Brownell, AIA, is a regularly featured columnist whose stories appear on this website twice a month. His views and conclusions are not necessarily those of ARCHITECT magazine nor of the American Institute of Architects. Blaine Brownell, AIA, is an architect and materials researcher. The author of the three Transmaterial books (2006, 2008, 2010, 2017), he is the director of graduate studies in the school of architecture at the University of Minnesota.